Note that shoe sizes vary slightly across different manufacturers and designs. Sizes shown here only indicate length, and not fitting width. The only way to know if a shoe fits is to try it on. Available in Sizes (EU) 36 – 40. Recommended for ladies with Achilles Tendonitis, Bunions, Corns, Calluses, Plantar Fasciitis, and Arch Pain. 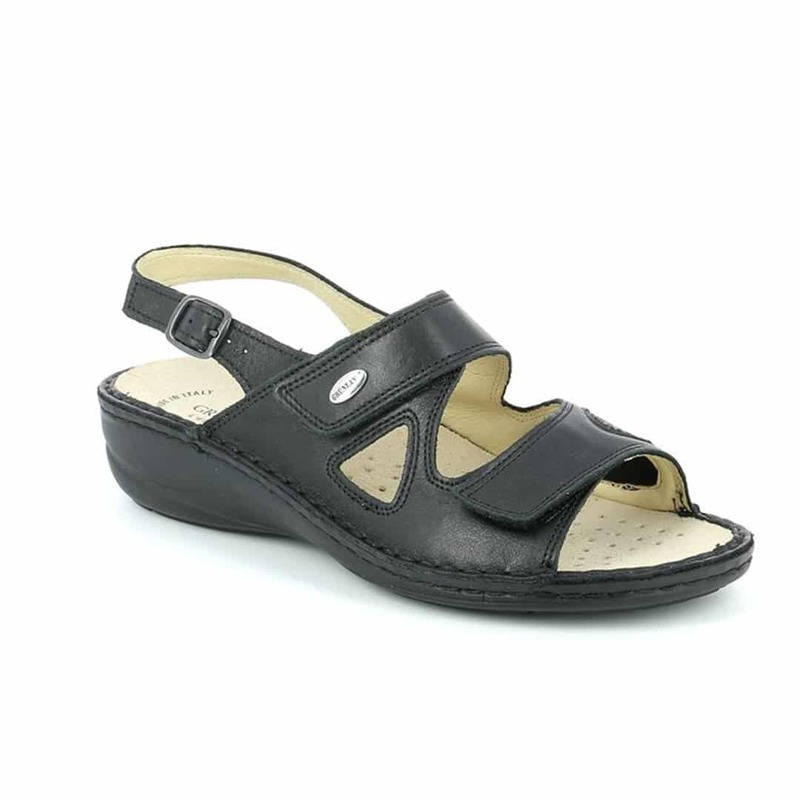 Hand-made in Italy sandals specially designed for ladies with bunions. Enjoy the natural comfort of Grunland’s removable cork insole. Made from Mediterranean wood and latex, these insoles are designed for providing anatomical support, and feature aerated holes for air circulation. 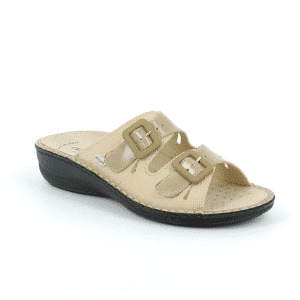 We recommend these sandals because of its specially designed bunion cushion. Made from memory foam, they provide superior protection and comfort while reducing pressure that causes bunions to grow bigger. 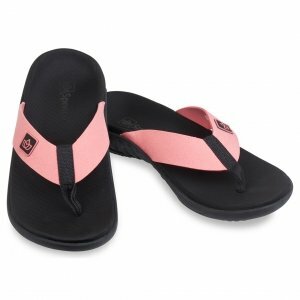 You will also love the premium inner-lining made of super-soft pig skin. Comes with an elevated heel lift and heel cup. 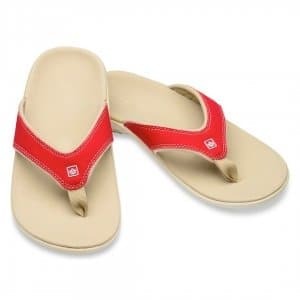 These features provide support and stability to the parts of your feet which experience heel pain when strained. Note: If interested, please check with us if we have your size. Grünland footwear is handmade in limited quantities according to European seasons. It takes a while for us to restock, but it also means that each pair of Grünland footwear you own is rather special. Want this? We won’t sell it to you without a proper foot assessment and fitting session.